The Manzimdaka School. 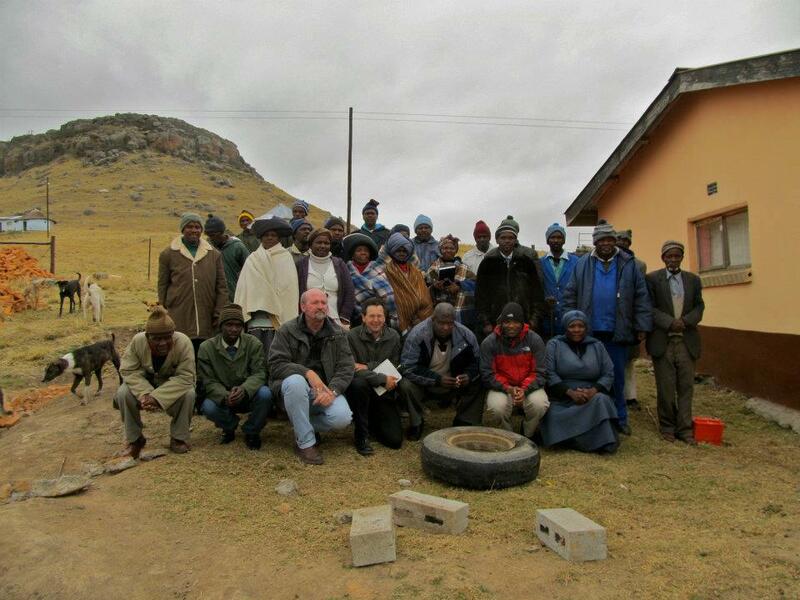 Since 2012, the LAND Project has been working closely with the primary school in Manzimdaka. The school serves as our primary central meeting site in the Eastern Cape and is home to our school garden project. The Manzimdaka community. Our closest and most important collaborator has always been the community members themselves. We are honored to partner with farmers, teachers, leaders, and elders in the community to build a strong working relationship based on trust. The Ncedisizwe Co-op (whose name means, isiXhosa, “helping the nation”) is a co-operative of some 800 small-holder farmers in 32 villages of mainly amaQwathi people, near the town Ncogbo, in the high foothills of the Drakensberg Mountains in the Eastern Cape. The co-op formed in the year 2000, mainly focusing on getting better prices for agricultural supplies. The LAND Project worked with the Ncedisizwe Co-op from 2011 to to 2015 develop locally-adapted agroecological production methods, such as rotational grazing and perennial gardening, and to develop markets which do not disadvantage small-holder farmers. Conservation South Africa (CSA) is one of South Africa’s leading conservation organizations. CSA has a special interest in the LAND Project’s area of work because it lies within in a designated biodiversity hotspot of global significance, the Maputaland-Pondoland-Albany Biodiversity Hotspot. CSA has been taught the LAND Project about one means of locally-controlled rotational grazing that restores ecological functioning at the same time as supporting local livelihoods. We call this our “ecoranger” project. Professor Dave Watts of Cal Poly-San Luis Obispo has been taking Cal Poly students on service learning trips to South Africa for 8 years, working closely with LAND Project co-director, Liza Lightfoot. Dave and Liza have led a number of student trips to South Africa where they worked on community participatory planning, conducted a needs assessment, and attended to the school garden.